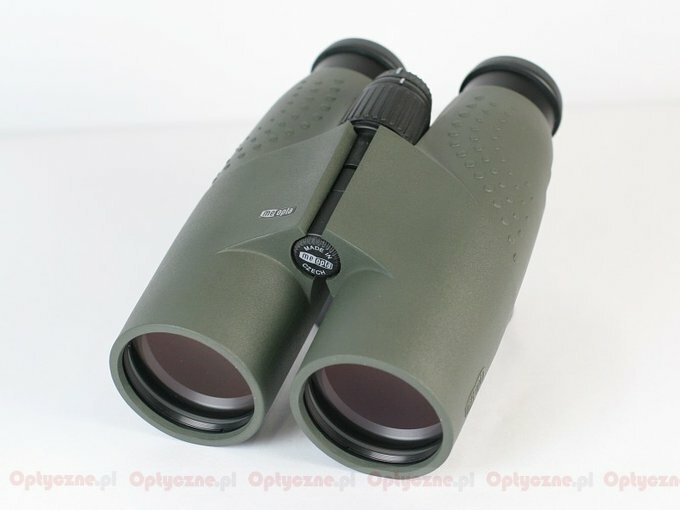 Meopta Meostar B1 10x50 - binoculars review - AllBinos.com . 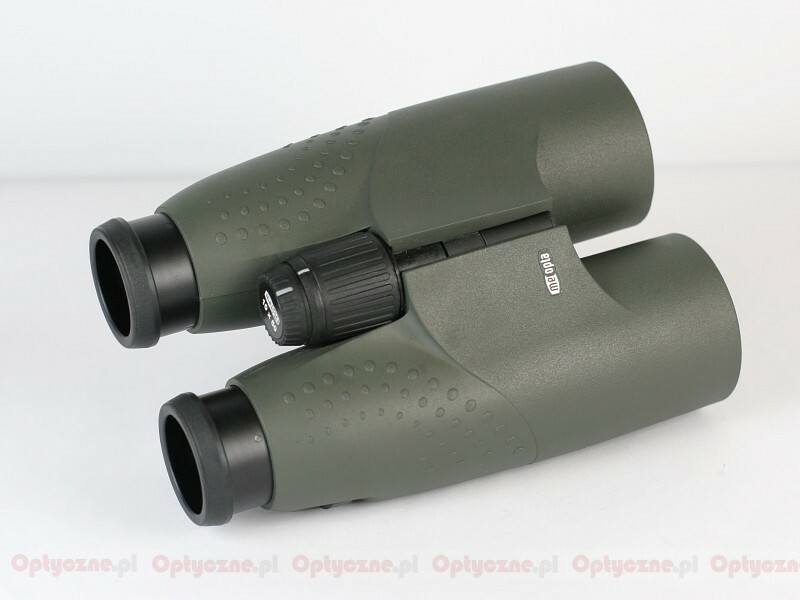 The binoculars from the Meostar B1 series are the newest product in the Czech Meopta company’s line-up, launched at the beginning of 2005. This series consists of nine roof-prismatic models with the following parameters: 8x32, 10x32, 7x42, 8x42, 10x42, 7x50, 10x50, 12x50 and 8x56. All the Meopta Meostar binoculars are waterproof and nitrogen-filled. The prisms are made of BaK-4 glass and all air-to-glass surfaces are covered by antireflection multilayer coating of high quality. 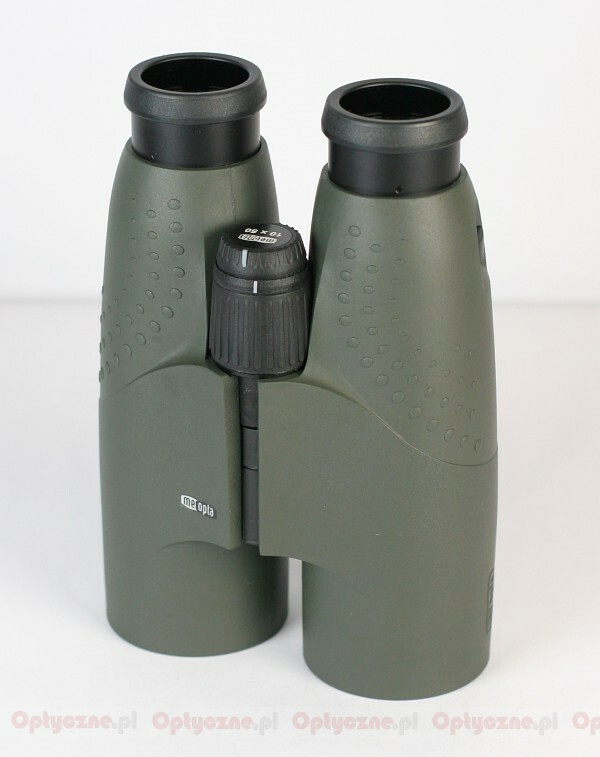 The binoculars are rubber armoured and they boast twist-up eyecups. 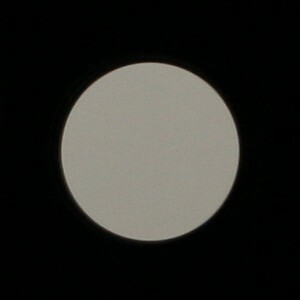 Apparent field of view of 60.8 degrees. Meopta is an equivalent of Polish Optical Company (PZO) so to speak. It was established in 1933 and it started the production from lenses and condensers. During the WWII, after the annexation of the Czech lands by Germany, the whole production, consisting of rangefinders, periscopes, binoculars and riflescopes, went directly to the German army. In years 1947-1971 Meopta became the biggest producer of photographic enlargers in the world and the only manufacturer of cinema projectors in the Central Europe. In 70’s of the twentieth century its production was again refocused primarily on military products due to Warsaw Pact armies’ orders, which reached up to 75% of total turnover. At the end of the communism era Meopta decided to take a step which Polish Optical Company abandoned for unknown reasons. In 1988 a new series of riflescopes, designed for civilian purposes, were launched on the market. In the time when military orders decreased significantly (reaching even zero in 1990) it was a move which saved this company from bankruptcy. In 1992 Meopta was fully privatized with its production aimed mostly at the civil market. As its riflescopes have been quite popular among hunters, the company decided to enlarge its production and open new subsidiaries. At the beginning of 2005 Meopta decided to present the newest series of binoculars called Meostar B1. Now, it consists of roof-prism models with the following parameters: 8x32, 10x32, 7x42, 8x42, 10x42, 7x50, 10x50, 12x50 and 8x56. 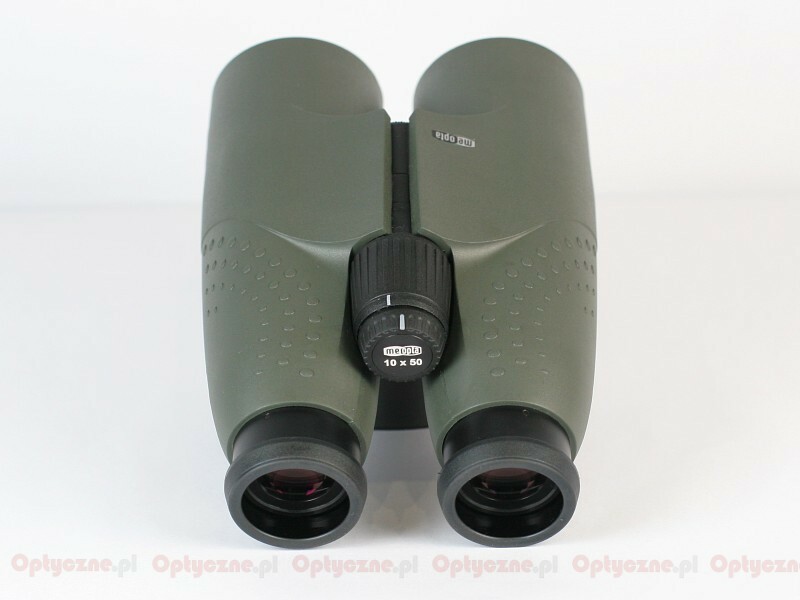 In 2005, while organizing our 10x50 binoculars’ test the Allbionos.com/Optyczne.pl website asked Knieja company to lend the Meopta for testing. Unfortunately, we didn’t manage to get this pair of binoculars – at that time, due to very big interest in them they simply flied off shelves. Well, all is not lost what is delayed. Several months later the Knieja shop finally sent us that pair of binoculars as they got a fresh batch. Finally we had an opportunity to look closely at it, applying our test methods and checking whether or not it should be considered a threat for such companies as Leica, Swarovski and Zeiss. The first impression of the Meopta is very good – it seems to be a spitting image of the Swarovski. It is clear that the Meopta designers borrowed a lot of solutions from that Austrian producer. 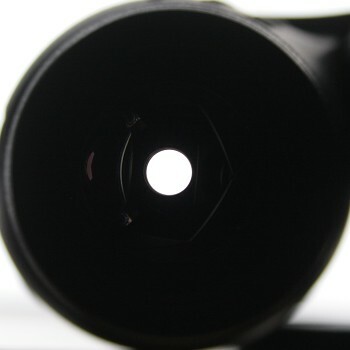 So the Meostar B1 features a similar colour and the similar focusing mode on the right eyepiece – it is done through an additional focus knob situated on the central regulation. It is a very comfortable solution because you can focus the whole instrument using just one finger. A closer inspection reveals, though, that we don’t deal with an ideal copy of the Austrian product. The first minor slip-up is that the rubber padding doesn’t fit perfectly and when you press it – it squelches. One glance at the exit pupils also informs us that we don’t hold a Swarovski product. In the case of the Swarovski we saw perfectly round pupils on a perfectly black background. In the case of the Meopta the pupils are equally round but you can’t speak about black background anymore. You can notice slight inner flares and, what’s even worse, as many as three false pupils! They are not very intense which means the objective lenses don’t loose too much light but in the case of a product, which aspires to compete with the best the loss of even several percent of efficiency might be crucial. When it comes to main optical parameters we witness ups and downs here but these first are in the minority. 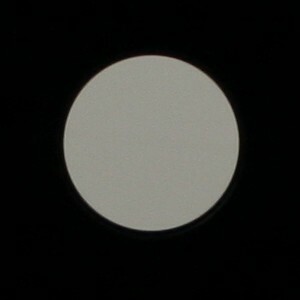 The Meopta reaches good results in such categories as coma, astigmatism, brightness loss, central vignetting, whiteness rendition or collimation. You can’t carp about the quality of used materials either. The prisms are constructed from high class BaK-4 glass in the most appropriate way and the anti-reflection multi-coatings are on all air-to-glass surfaces. 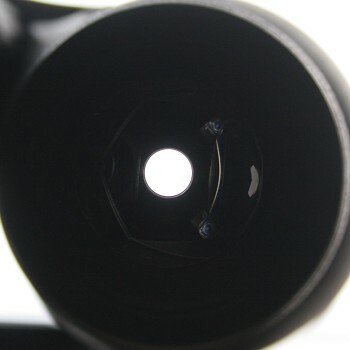 These coatings are undoubtedly of the high quality but if you look at the binoculars from the side of objective lenses, parallel with the optical axis, you don’t get an impression that there’s no glass elements at all, as it was the case with the Swarovski. For a such a high class product the Meopta Meostar B1 has too many flaws. Among them you can count the chromatic aberration at a quite bothersome level, especially at the edge of the field, where this aberration cumulates in the lateral and vertical version. Most probably it stems from small dimensions of the instrument and the lack of low-dispersion glass in its optical construction. Serious geometric deformations at the edge of the field are the second visible slip-up . Additionally, from a high-end instrument we should expect a wider sharp field of view. In the tested specimen it reached 77% and it’s an average result at most. 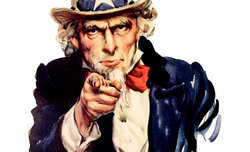 When it comes to the field of vision it amounts to 6.3 degrees, in perfect accordance with the producer’s data. It is a decent result but significantly lower than in the case of the most serious Meopta’s rivals. For example the Docter Nobilem 10x50 features a 6.7-degree field of view, the Leica Trinovid – 6.6 degrees, the Fujinon FMTR-SX – 6.5 degrees, and the Swarovski SLC 10X50 – 6.4 degrees. In fact, among high-end binoculars only the Minox has the field of view narrower than the Meopta. Comparing the result of the Meopta with the results of other binoculars from our 10x50 binoculars’ test you can notice that the Meostar would brush against the first five, right before the Minox. Does it have any chances to become a serious player in this price/quality segment, with the price tag of almost 1000 USD? Certainly it is not a match for the Fujinon, the winner of our test, which is both better and cheaper than the Meostar. Does it pose a threat to other binoculars on the podium, so the Swarovski and the Leica? It is difficult to answer this question in an unambiguous way. The Meostar is two times cheaper but the Leica and the Swarovski are significantly better – their score in the test, the lack of the Meostar’s slip-ups and their brand names’ renown would be their huge assets. It seems that the Meopta can gain some market shares only at the expense of such manufacturers as Docter and Minox. The Meopta cost the same and got the same score as their devices but is significantly smaller and physically ligher than the Docter and it has definitely a better field of view than the Minox.